Blizzard Entertainment was founded on February 8, 1991 by three graduates of the University of California: Michael Morhaime, Frank Pearce, and Allen Adham. Their name was Silicon & Synapse back in the days and the company becomes popular after creating games like “Rock n’ Roll Racing” and “The Lost Vikings”. In 1994, the company changed its name to Chaos Studios and then became Blizzard Entertainment after being acquired by Davidson & Associates. The very first Warcraft game, “Orcs & Humans”, was released on November 23, 1994 but Lich King or any race other than humans and orcs still wasn’t included to the game. The second sequel of the franchise, “Tides of Darkness”, was released on December 9, 1995 with a little improvement but again there is no trace of other races and The Lich King. The final sequel of the franchise, Warcraft III: Reign of Chaos, was released on July 3, 2002 but this time, game developers did a great job and highly developed not only character design but also the story and they didn’t forget to add new features. New two races, Night Elf and Undead, were added and included in the story and maybe the first time in history, heroes were added to a strategy game. These heroes are more powerful than the regular units and they gain experience and new abilities as they kill enemy units. Player controls each and every one of those races one by one and plays with different heroes and units as the story continues. These heroes are so powerful and many of them are powerful enough to destroy an army so heroes can change the fate of the game in this new Warcraft game. 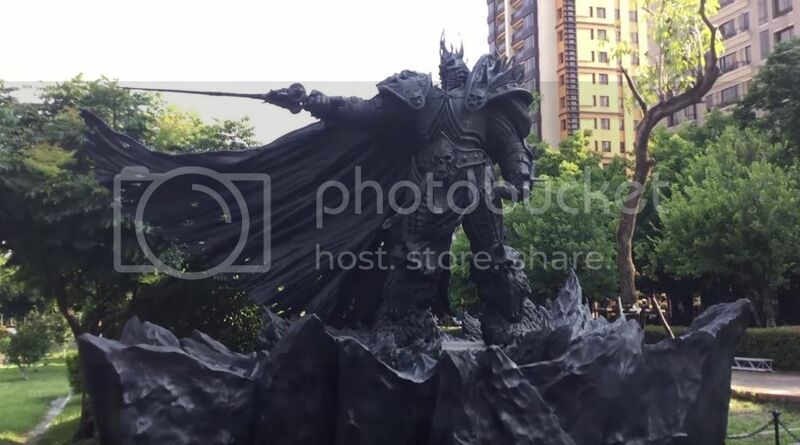 In the first campaign, the player controls human race and the main hero of this campaign is Arthas Menethil, which will be known as The Lich King later on. 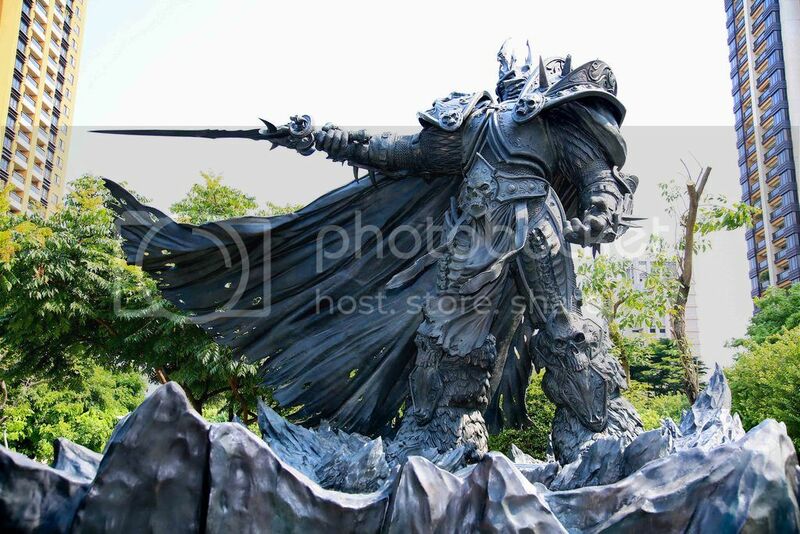 Arthas is the son of King Terenas Menethil II and one of the strongest heroes of the game. However, during the campaign, Arthas experiences a series of unfortunate events and finds a cursed sword called “Frostmourne” which leads him to betray his people and kill his own father. 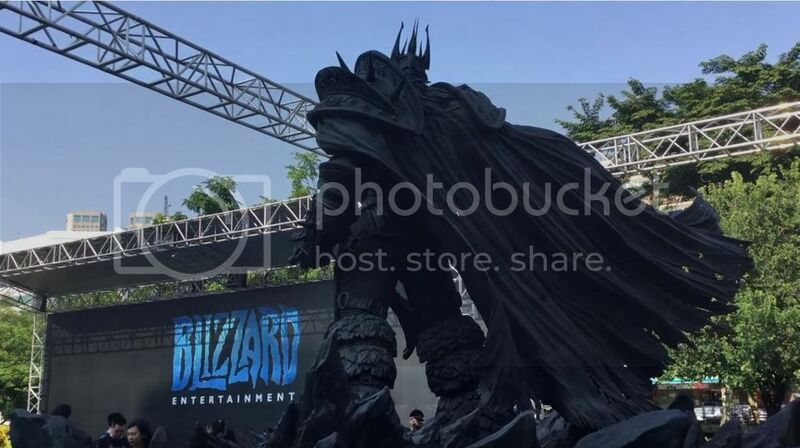 There are other great heroes in the story but at the end of the Warcraft series, Arthas becomes The Lich King, which is the master and lord of the Undead race. 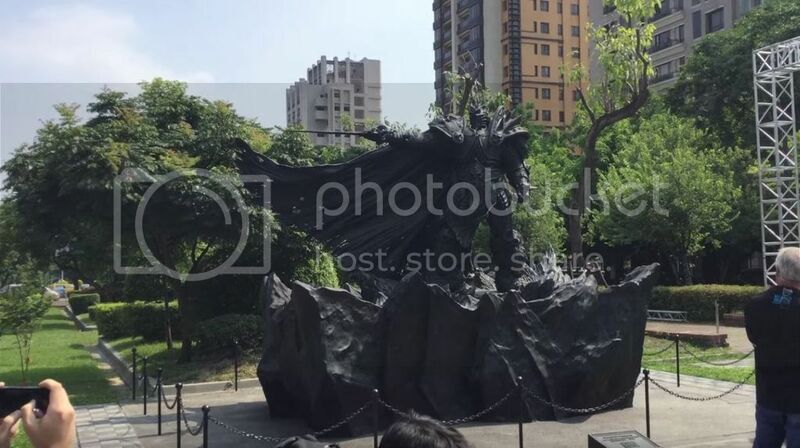 Characters of the Warcraft series, including Arthas The Lich King, were mentioned and included to World of Warcraft and amazing story of the Warcraft series was kept alive by doing so. 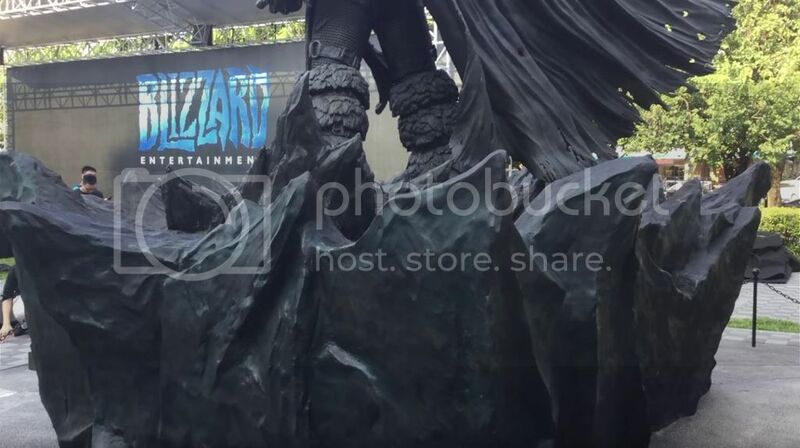 After 25 years, Blizzard Entertainment has shown its creativity once again while celebrating its 25th anniversary. 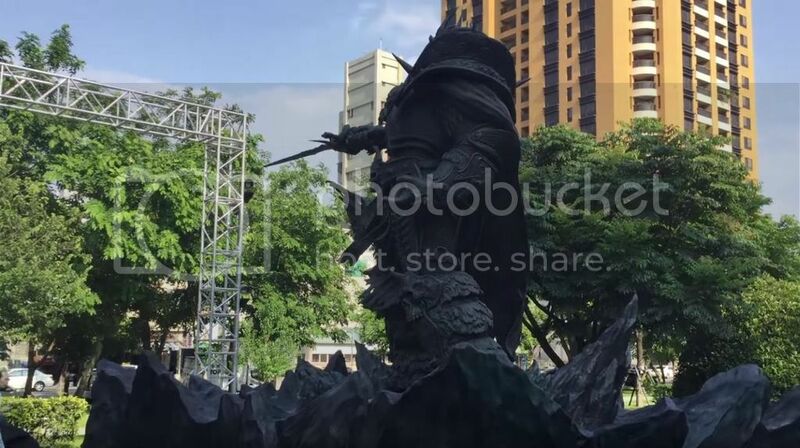 The statue was designed by Taiwanese artist Steve Wang and it took a year to plan and create this massive bronze statue – 3 months to plan and 9 months to produce the statue by putting 30 people into work. 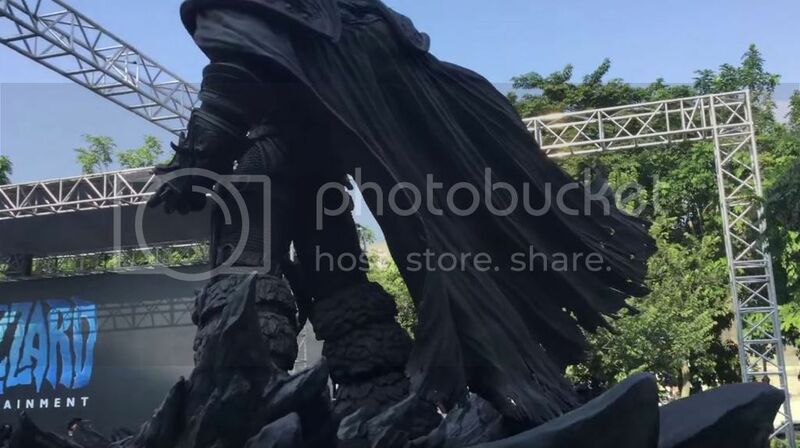 The statue is 14-foot and 4,000-pound – the cape alone weighs 1,000 pounds. 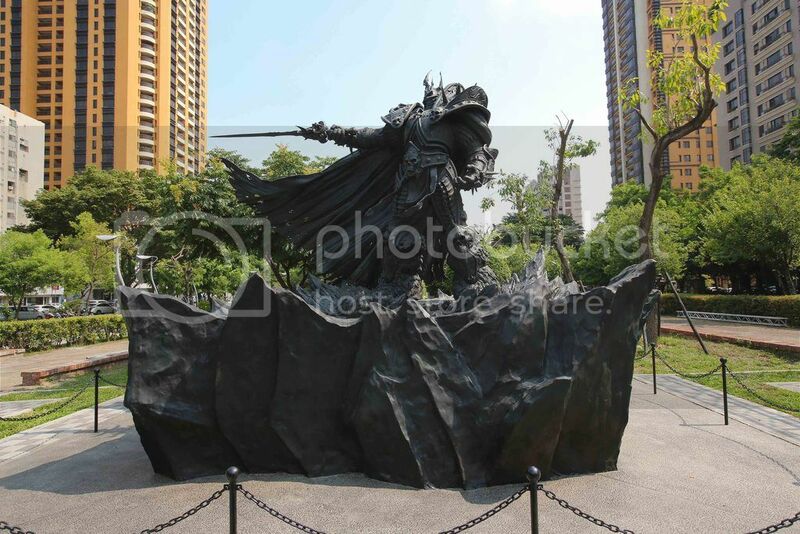 The new home of the statue is Calligraphy Greenway, Taichung, Taiwan. They also added YouTube video that explains the production stage. 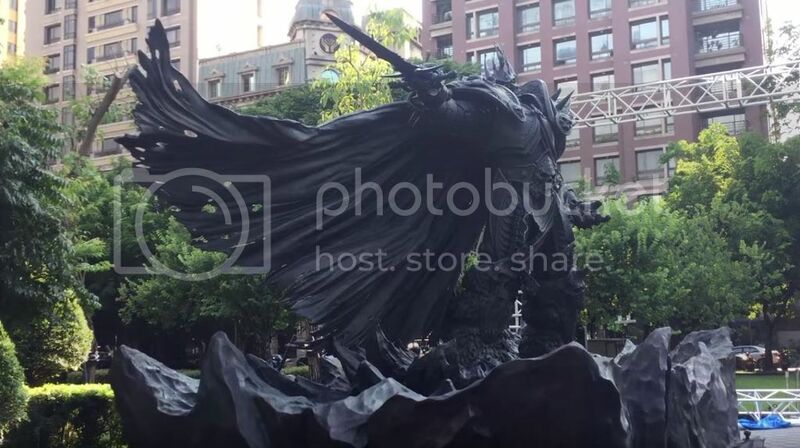 Even if it seems just a proper casting, building a statue like that requires a lot more than a simple casting. Some materials may weigh more but they may not be able to carry that much weight only with the legs of a statue. Adding cape and sword also changes the center of gravity, which adds another variable to that complicated equation. Since bronze is a metal and all metals yield and bend under specific force, the location of the center of gravity is very important. The hardest part of these kind of projects is to design and calculations even if production processes take longer time. Batman: Bad Blood – Is It Another Robin Movie?